Finally I have Trumpdisco on! It literally took me two years of hassling them to get them on my show. I am proud to have them as they have a very unique sound. It's electro but with a purity and rawness to it that's hard to find in often over-produced and polished 4/4 music we hear these days. Hailing from Melbourne, Trumpdisco was formed in 2009 and since then have become renowned for their diverse remixing abilities. Sought after by a wide range of world class artists including the likes of Freeland, Yolanda Be Cool, Don Diablo and Mad Decent's Diplo. 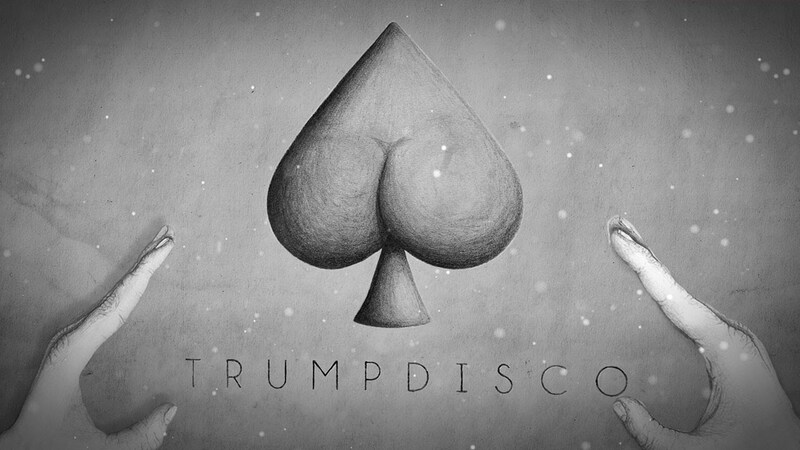 Trumpdisco boasts a rich plethora of bootlegs for artists like Woodkid, Muse, James Blake, Adrian Lux, Phoenix, Fatboy Slim and Rammstein. There is one constant Trumpdisco fans have grown to expect however – the raw, powerful energy which they never fail to deliver. After releasing their second E.P ‘OV Shark’ with support from Drop the Lime, Fake Blood, DJ Craze, Kissy Sell Out, The Bloody Beetroots and Winslow, Trump went on a crinkle filled tour Across Europe. Alongside Europe, Trump has toured parts of Asia and New Zealand and have completed numerous Australian tours, to now set it’s sights on the US and Canada.